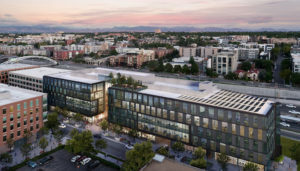 DENVER — Nichols Partnership and The Beck Group hope to break ground on a new $120 million office development in 2019 called One Platte, a five-story, mixed-use office building located at 1701 Platte Street. One Platte will be positioned along the highly coveted Platte Street, next to WeWork and across the street from BP’s headquarters, occupying the last sizable development site. 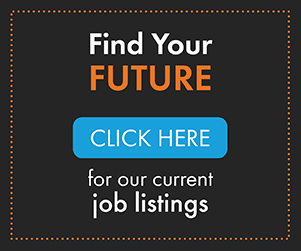 One Platte will provide 247,000 square feet of Class A office space along with 1.25/1000 of parking, in a well-amenitized and sustainable building.  Development will occupy a significant site along I-25 at the northern end of the district, largely completing the walkable, mixed-use streetscape. The site development plan is currently in review with the Denver planning office. The Beck Group is the design-builder for the project and Nichols Partnership is the developer. “We think it’s going to be phenomenally well-received because it’s basically the last building of scale that’s going to happen on the street,” said Jamie Gard, executive managing director at Newmark Knight Frank, who is handling preleasing. 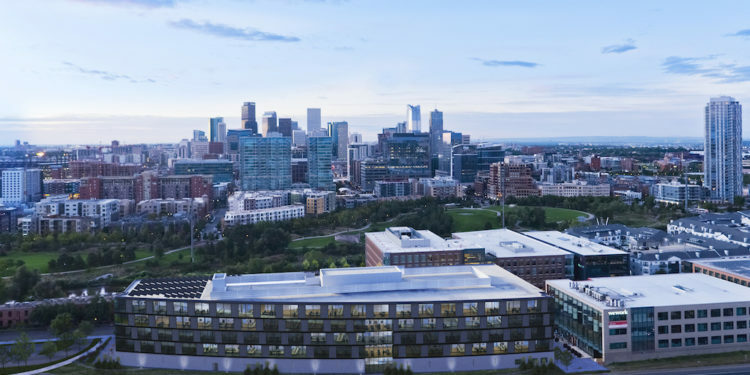 According to Nichols Partnership, One Platte is anticipated to be an urban campus, offering scalability, strong corporate identity and unmatched amenities for the 21st century workforce. The building’s architecture will be contemporary, reflecting an updated response to both the historic and recently completed buildings along Platte Street. The building will also feature a ground-level restaurant, cafe and retail spaces, as well as an exterior courtyard, plaza and rooftop amenity terrace. One Platte will be designed and constructed in accordance with current sustainable practices and will achieve WELL Silver Certification and a minimum LEED Silver rating for Core and Shell. This growing, connected, multi-modal neighborhood has immediate access to bike trails, the Platte River and a mix of retail amenities and is proving to be a popular location among the tech community. Unico Properties recently delivered The Circa Building on Platte Street. 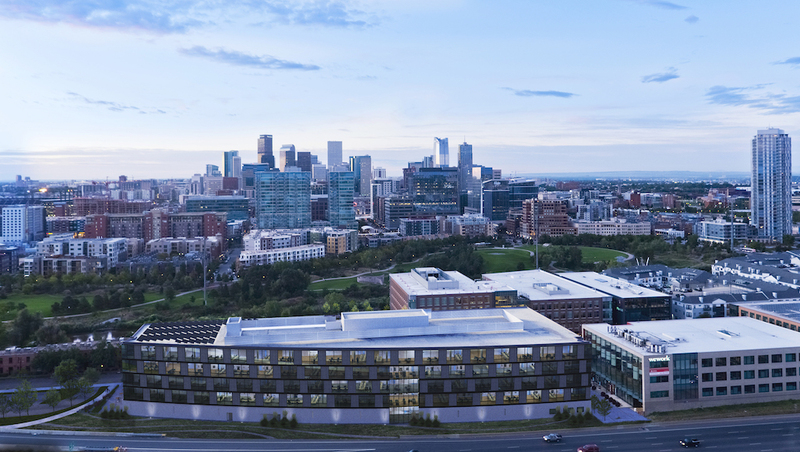 Xero, recently moved its U.S. headquarters from San Francisco to Denver and occupies the entire 30,000-square-foot top floor. “Platte Street as we’ve seen it built out is a very desirable place to be. The views of downtown are remarkable,” said Melissa Rummel, The Nichols Partnership’s project manager for One Platte. The Nichols Partnership hopes to start construction of One Platte in mid-2019 – depending on preleasing – and deliver the building in late 2021.